In 1901, a Carnegie Library was opened in Grand Junction to serve the citizens of the town. The building was located at the corner of 7th St. and Grand Ave. The architecture was of a Greek-style design and included large Corinthian columns, cathedral windows, and a fireplace in the center of the building. 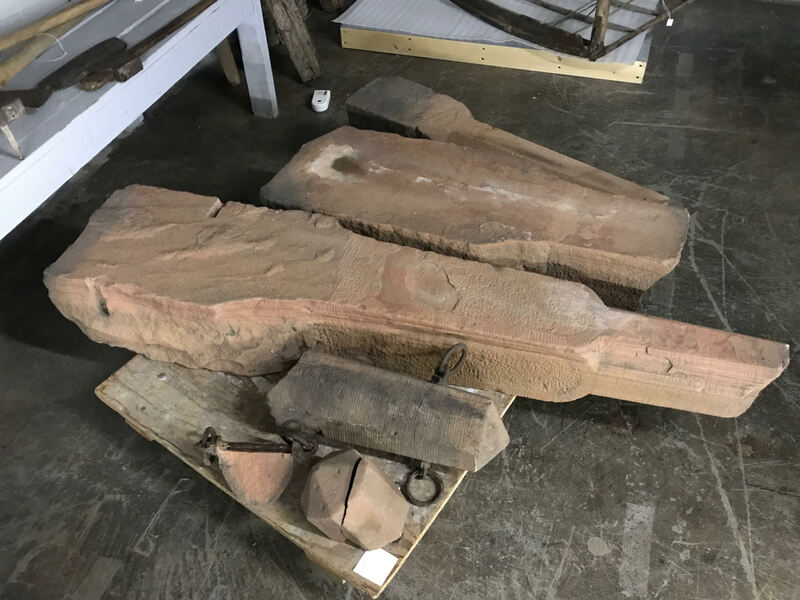 Visitors would have noticed a feature not typically associated with a modern library, two sandstone hitching posts were located outside of the building. The stone that the posts were carved from was most likely sourced from a local quarry, perhaps from the area just north of town. Intricate designs were engraved into the stone and metal rings were attached at the top of each post. It is hard to say exactly how long the posts stayed at the Carnegie Library but they definitely would have been a handsome and interesting addition. 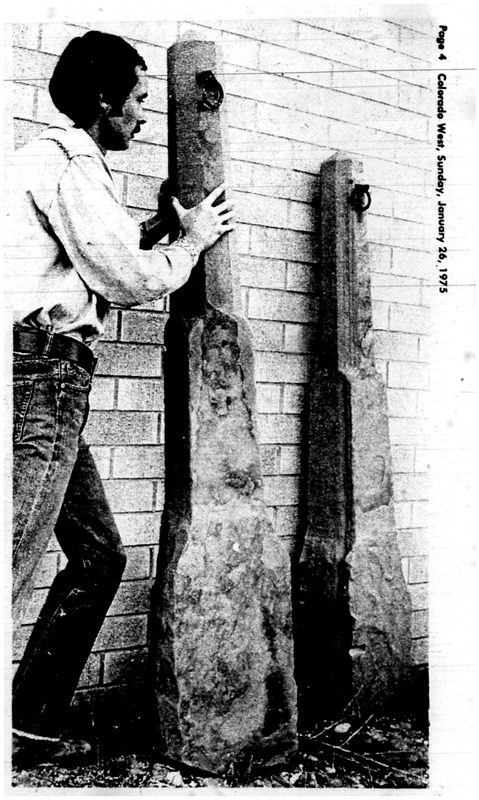 Eventually, the posts were taken down and moved to the Museums of Western Colorado’s downtown location. They still reside at the Museum to this day and staff is currently working to preserve the historical artifacts. The photo below appeared in the Daily Sentinel on January 26, 1975. An interesting side note is that the posts stood at different heights. This might have had to do with how they were set in the ground or one of the posts might have broke at some point in time.